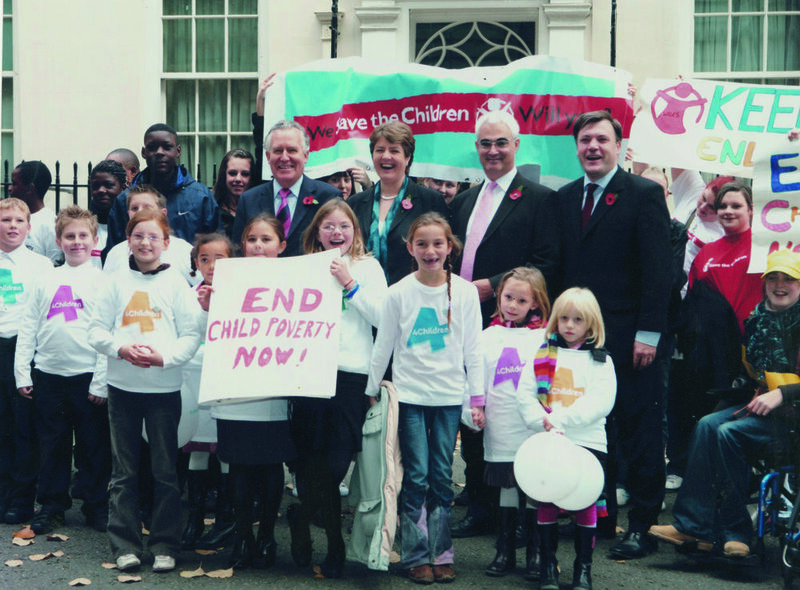 Ed served in the British Cabinet as Secretary of State for Children, Schools and Families between 2007 and 2010. He brought together schools and children's policy for the first time in the Children's Plan and pushed through radical and progressive policies including raising the education and training age to 18, reform of the social work profession, establishing the support staff negotiating body and extra investment in youth services and short breaks for disabled children and their families. "It was my job in the welcoming speech to be clear, enthusiastic and passionate about the new department, to say we weren’t just changing the name on the door, but also expanding the mission everyone came to work each day to deliver and to communicate what that mission was. In truth, though, I was still trying to work out what our new purpose really was. We were no longer solely a department of education, but of wider children’s and family policy too. But what did that actually mean? I was excited at the challenge; I knew that we could achieve something remarkable. The scale of my new responsibilities weighed heavily. I had to deliver. I found it a very difficult speech to make. It went down fine but, in retrospect, I should have told David that it was too premature. It was the moment when I learned properly that, as someone in a leadership position, it’s very hard to say what any other human being would – that you’re new and you’ve got a lot to learn. Once I did sit down with my officials to work things out, it was apparent what a big and important opportunity we had in the new department. Our first meetings revealed a shared vision: to break down every barrier to learning so that every child could make the most of their abilities. That didn’t just refer to what happened in the classroom – after all children are only at school 15 per cent of the time; it included their health, well-being, safety, happiness and family circumstances; and it meant having integrated but specially tailored strategies for different children with different needs and special challenges. 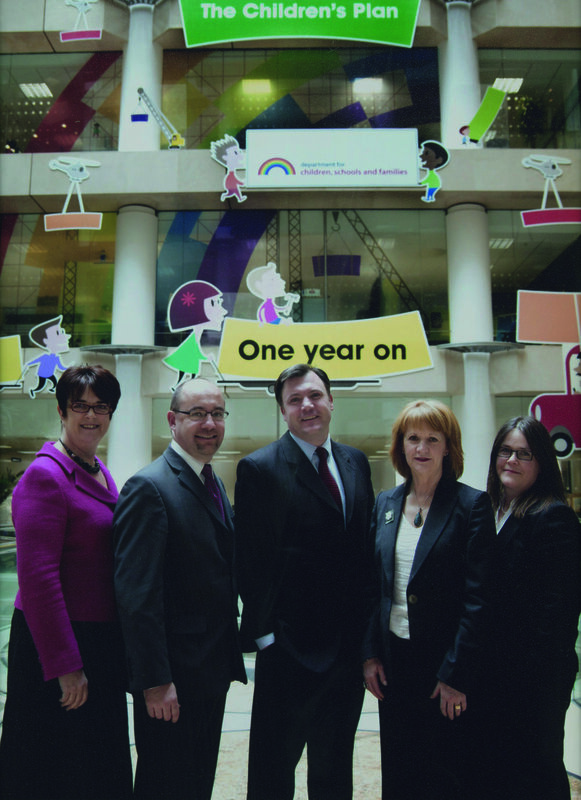 We decided to call it the ‘Children’s Plan’ and to dub the DCSF the ‘Every Child Matters’ department. The process of drawing up the Children’s Plan over the next six months, the consultation that we did with experts, and also with parents and teachers in half-day meetings on Saturdays around the country, helped me to understand the potential in this area and also to build a sense of common purpose. Everyone involved – parents, the ‘partnership’ of teaching unions and school leaders, social workers, child health professionals, the children themselves – was bound together by a desire to help every child succeed. Our job was to support them. A couple of weeks into the job, I arranged to do an unannounced all-day visit to a secondary school. John Dunford, chair of the Association of School and College Leaders, suggested a school in Banbury where I met an excellent head teacher who took me to the morning staff meeting and then around the school. In one class, an English teacher was using sherbet lemons, one for each pupil, getting them to use the taste and sensation of the sweet as an inspiration to write using metaphors and similes. It was a lower-set class, and it was amazing to feel how enthused they were, and see the lesson she was teaching sink in. The head teacher told me how many children in the school arrived with what were called ‘behavioural problems’, but which turned out to be unidentified learning difficulties such as dyslexia and – close to my heart – interiorised stammers, which had led them to become selectively mute. It was clearly crucial to identify such conditions early to help those children learn better, and to ensure specialist support was available to help teachers cope. We also talked about the extent to which problems outside school could affect a child’s ability to learn. Innovations like breakfast clubs might seem like a simple convenience for parents – dropping the kids off on the way to work – but at least some children are guaranteed a proper breakfast, which they otherwise wouldn’t have, and that puts them in a calm and positive mood for the day. If the teachers and children’s professionals I spoke to were enthusiastic and full of ideas about the Children’s Plan, I found it harder at the beginning to engage the Civil Service in the process. I’d inherited an exceptional group of civil servants at the DCSF, but they seemed unaccustomed to leading an agenda or expressing a point of view. The previous Department for Education was, I think, used to being pushed and pulled by competing agendas from Downing Street and the Treasury, which is never conducive to the civil servants feeling empowered and in control. I was clear that we were not going to be told what to do by Number Ten or Number Eleven, and that I wanted our agenda to be shaped by what my civil servants told me, not me simply issuing or passing on instructions." as a result of Every Child Matters, local areas have begun to change the way they manage their services for children and young people. 2. However, while there are more opportunities for families and children now than ever before, parents say they sometimes find it hard to cope with a rapidly changing world. More mothers as well as fathers are pursuing rewarding careers, but can find it hard to balance work and family life. Parents regret that their children do not play independently outside as they did when they were young, but worry about safety if their children go outside alone. Families are more aware of how to pursue healthy lifestyles but too much time spent in front of video games or the television and fatty foods mean that child obesity is on the rise. And when this generation of children and young people leave education, they will need higher skills to succeed in employment. 3. Moreover, some children and young people, often from disadvantaged backgrounds, are still underachieving. While many of our teachers and schools are among the very best in the world, there is still too much variation in quality, and as a result children are not achieving all of which they are capable. And too many children and young people suffer unhappy childhoods because of disadvantage or problems that are not addressed, or tackled too late. it is always better to prevent failure than tackle a crisis later. 5. The Children’s Plan sets out our plans for the next ten years under each of the Department for Children, Schools and Families’ strategic objectives, with a chapter at the end looking at how we will make these reforms happen. Read the full report here and watch the launch here. While we might not always agree on all the details, I believe that is a vision of the 21st century school that we can all share..."